The name of D.J. 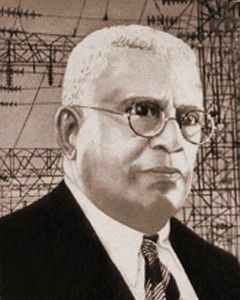 Wimalasurendra must be inscribed as one of Lanka's greatest sons and father of hydro electricity in Sri Lanka. Wimalasurendra was a visionary, an engineer par excellence and a dedicated politician. Only a visionary could have 'created light' the way he did. The British engineers of the time were sceptical that he would be able to achieve such monumental engineering feats as the successful introduction of hydro-electricity in the country. Father of hydro-electricity who introduced electricity to the country.